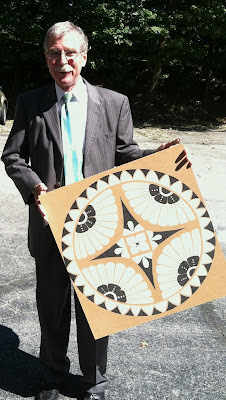 Awhile back I mentioned that I had created a sand mandala as a way for our church members to celebrate our interim pastor. The Reverend Donoghue had mentioned sand mandalas a few times as examples of how joy can be found in the process rather than in the finished work. He explained how monks would spend hours... days even... placing each colored grain of sand in intricate, meditative patterns. And when they finished, the art was swept or blown away. It seemed fitting that we, as a church, create one to show that... well, that we had been paying attention. • I used a large (about 2 feet by 2 feet - or so) piece of masonite. Foam board could work too. Use a material that is very smooth, but not static-y. • Tracing around large round objects or stencils would be the easiest way to create the basic circles, but I couldn't find anything that big in my studio. so I did it the old-fashioned way. Using a long ruler, I marked the centers of each edge of the board, then connected those dots to find the center of the board itself. I measured out intervals along each axis where I wanted my circles to be. ie: 4" and 6". 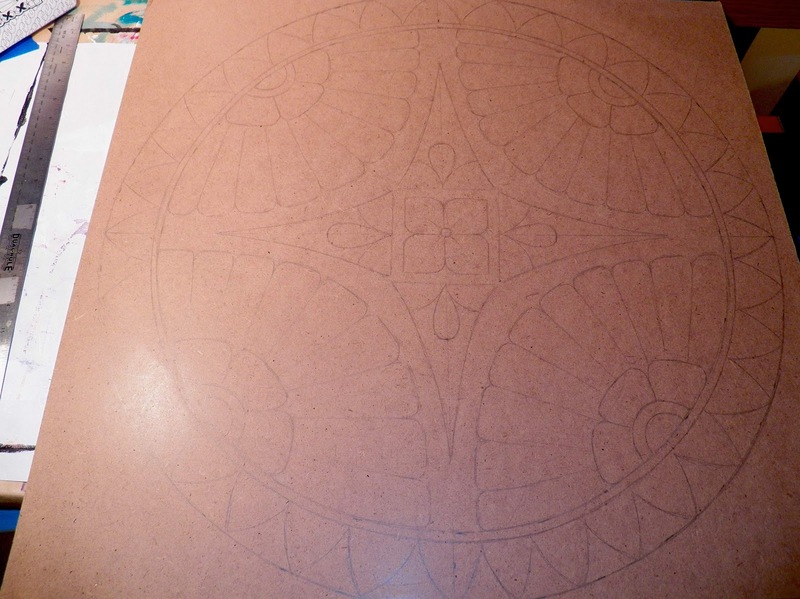 • Placing one end of the ruler on the center dot, I slowly rotated it, like the large hand on a clock, marking 4" and 6" with a dot each, at one o'clock, 2o'clock, etc. all the way around. 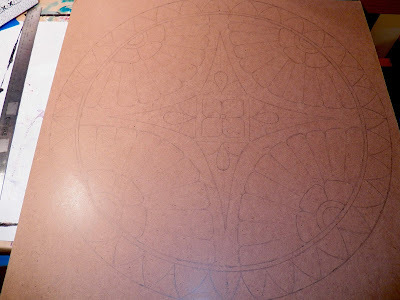 Then I sketched in the circles (in pencil) by connecting all the 4" dots. then all the 6" dots. 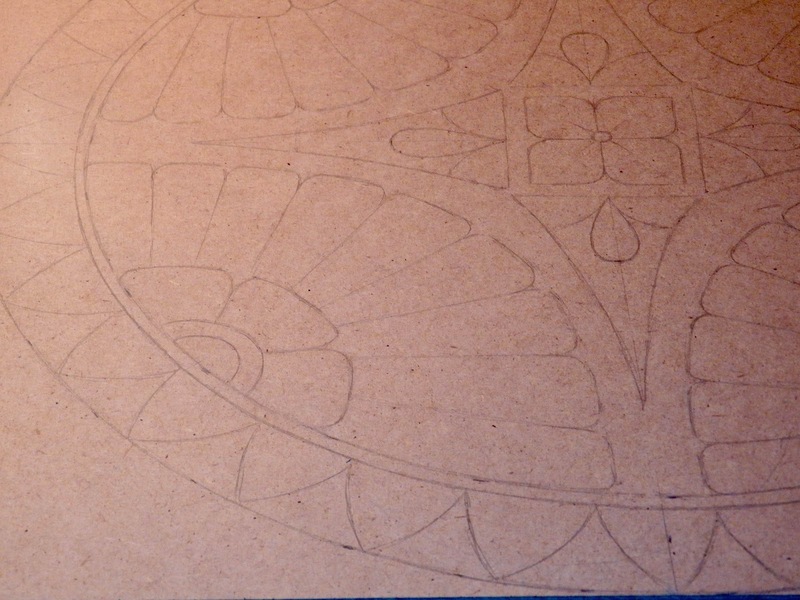 • Since I wanted this piece to be symmetrical, I lightly sketched in the basic shapes of the tangles. 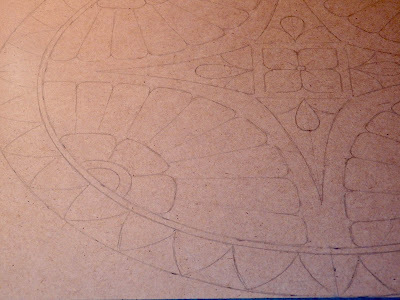 Normally, when doing a large Zentangle, a mural or such, I don't use any guides - I just draw. • I put the colored sand into squeeze bottles (technically, "pour" bottle), but I also put extra sand into small food storage containers with plastic spoons. A few people felt more comfortable using a spoon - like sprinkling sugar onto cereal - it's a familiar motion. • It took a bit of coaxing to get people to give it a try. The kids dove right in, which gave the adults the confidence to try too. 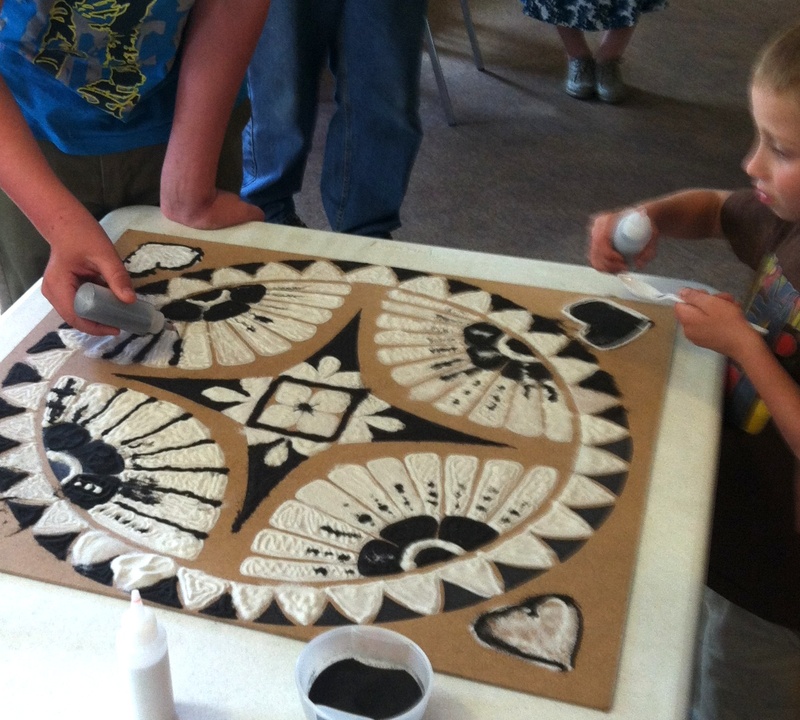 The kids got SO confident, they started adding their own touches and embellishments! Notice the hearts on the corners? 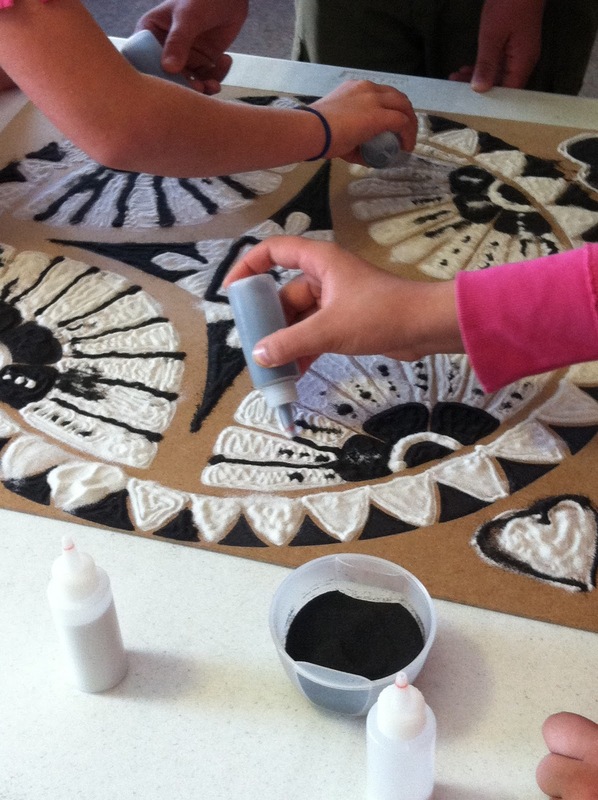 • An older women used black sand to draw lines between the flower petals and then the kids used that idea to embellish the embellishments. • One little boy discovered the side of the spoon worked very well as a "noodger"... it could push stray sand back into place or create an even line. Clever! • When it was complete - in true Zentangle fashion - any blips and bloops, spills and differences in technique - all blended into the overall design. It looked so beautiful! Everyone stood around looking very pleased with themselves. • We carried it out to the parking lot where the Rev. tossed it into the wind. Not a single bit of sand remained to show what we had made - and yet we were all laughing and smiling. • And, of course, the Reverend has the mandala board and extra sand so he can create another sand mandala in the future. I know he works with soldiers returned from war, so I am hoping it might help to introduce them to the idea of tangling. I really love seeing the application of the Zentangle method with other, more tactile materials (blog post about shaving cream). It fascinates me how the mindfulness and creative confidence can transfer to other mediums besides pen and ink. AND how easily people accept it and dive in when they feel they recognize something about it... "I've been doodling all my life," or "pouring the sand is like decorating a cake"... has anyone else tried any unusual materials for tangling? 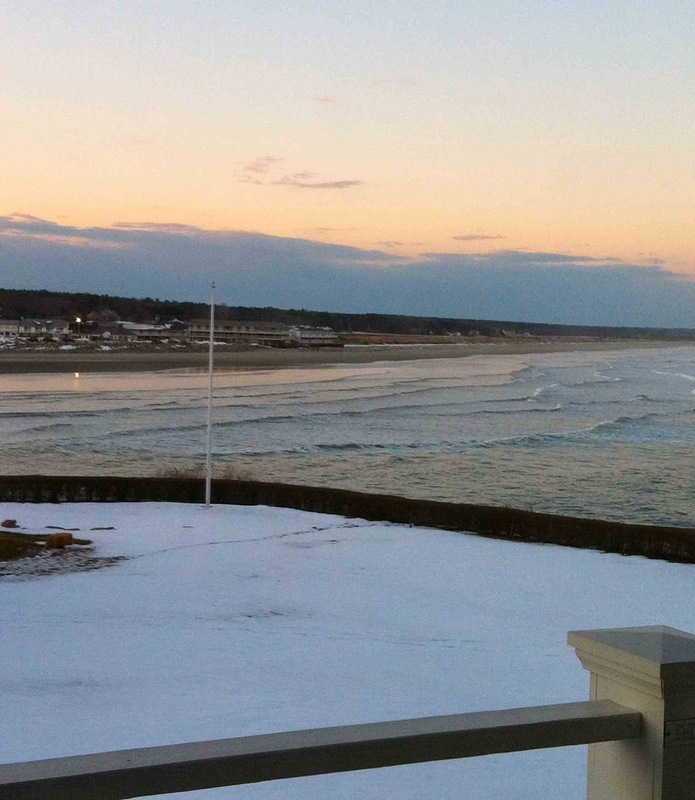 We still have a few spots left for the UNTangle Retreat - Holiday Edition in Ogunquit, Maine. November 9-11, 2012. It's just a few weeks away, but some of us are better at last minute, so now is the perfect time to sign up. There are a couple of different options depending on your preference - I like to have my own room, others enjoy having a few roommates. If you want your own room, the rate is $875. If you'd like to share a room, the rate is $725, and if you are a commuter, the rate is $500. These rates include the workshop, most materials, my new book - Joy of Zentangle, meals and snacks, and all those hotel taxes and fees (unmentionable things). 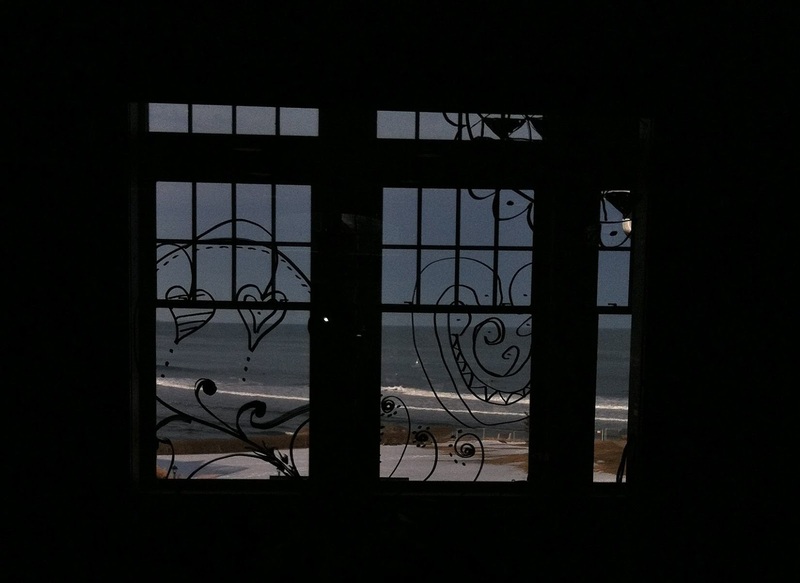 From our playroom you will also see... snow, sea, beach and sky. 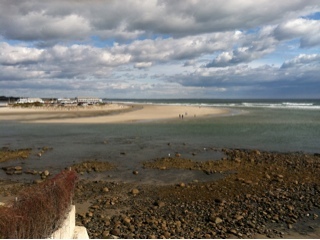 Low-ish tide... have you been wanting to tangle some rocks? 3pm - Check in to your room, unpack, claim your spot in the playroom and organize your stuff, start tangling if you like. Shop, explore, chat - whatever you like. If you get up early, you can take a walk by the ocean. Noonish - Long lunch - You can go into town for lunch or eat in the pub. There's time for a walk or shopping or just get back to work if you like. After lunch clean-up and hugs all around. I will be around all afternoon if people want to chat or pick my brain. Here is the link where you can sign up: Sign Me Up! This summer, I received a somewhat confused email from a customer/blog reader who asked me why they would buy my new book coming out in November, if they already owned all my other books? It sounded, to them, like a rehashing of my previous material. My response, even more confused, was "Huh? What book?" And so it was that I learned, that, yes indeed - I had a new book coming out in November. I kept agonizing over what to tell you all. And I kept arguing with my editor over... well, let's just leave it at "I argued a lot." I hadn't been able to think of a good analogy - it's like being told you're pregnant, but not actually carrying a baby... not parthenogenesis, not adoption, not kidnapping, not... what? In my mind I have been thinking of this book as "FrankenJoy." Cut and splice and grab a brain from any jar not cracked or marked "Abby Normal" and WHOOPS - there it is! Since the book is actually shipping now... and since the publisher finally changed the cover to read something about Suzanne, Marie and I being "contributing" artists (rather than the actual "authors")... I realized that it no longer mattered how I might have felt about this child in the past, it was here now and it had my name, my (type)face, and tons of hereditary tangles. I need to get over it and welcome it into the family. It feels strange to review my own book, but I think it may make me feel better. First a few things that make me go "Wha?" The irony is that this book is the complete opposite - very white-bread and squeaky clean. 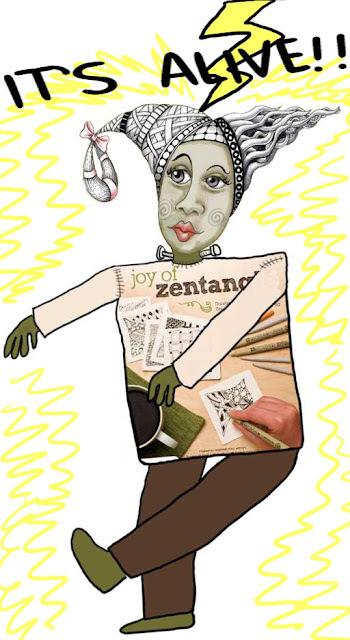 The tangle pages each have a rapturous testimonial to how Zentangle has changed each person's life and why everyone should become a CZT. I also have to say that I don't agree with all of the introductory descriptions and explanations of "how" and "why" and "what". But that doesn't bother me as much anymore since it won't be assumed that I wrote it. And, honestly, I don't really read the big blocks of text in these kinds of books. Any of you who have met me, read my books, or read my blog regularly know my writing style is a little loopy. I grew up in the Addams Family (I was Wednesday) surrounded by body parts in jars, spent my weekends in my mom's dissection laboratory... anyway, you all will be able to tell in an instant that this book was NOT written by me. OK? • It's a nice looking book with lots of pages. • It is THE perfect book for someone just getting started in Zentangle. Very clear and covers the philosophy and materials and all that. • The tangles are taken from previous Design Originals books, but they are plentiful and each has it's own page. • The extra space on each tangle page is not wasted - there are the testimonials, and even better, beautiful sample images (that don't actually relate to the tangle, but are still nice work). Many of the samples are new to you (not from the other books). • There are samples of projects taken from the other books too - but they do NOT have the instructions. You'll need to get the individual books to learn those secrets. • If you like to simplify - and you want a good sampling all organized in one place - this is a great book. If you can, I say get all the books. Suzanne McNeill, Marie Browning, and I all have very different styles, advice, projects, experiences and humor. Our individual books convey all that. This book has cleaned us all up. It's "quirk-free". I just ordered a whole bunch to take to the CZT retreat next week and I am very excited to welcome this new baby. I just don't know what to DO with it. Do I list it on my Etsy shop with it's siblings? Amazon is selling it practically at wholesale already! Do I have a book launch party? That seems weird... Do I scan the horizon for townspeople with torches? Kidding. I hope. Perhaps I will just treat it like any other book that I have work in, but didn't write. Speaking of which - I have a bunch of Zendalas in Suzanne McNeill's new book Zentangle 7: Inspiring Circles, Zendalas & Shapes . I hope you enjoy those - I especially love the black spinning one. Hee Hee. 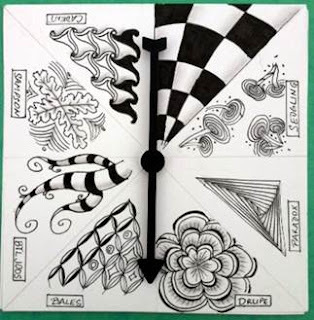 And I also have a trading card in Beckah Krahula's One Zentangle A Day: A 6-Week Course in Creative Drawing for Relaxation, Inspiration, and Fun (One A Day) . I am really looking forward to this book! Beckah is quite a character and I'm curious to see how she integrates her own style into the whole process. I want to hear what you all are thinking! I was excited to receive pics from one of my Midwest Arts & Lettering Retreat students - Bonnie Seifert. These are her first and second Zendalas. I especially love the three dimensional looking Btl Joos twisting under another 3-D looking Zander. There is so much crazy, wonderful stuff going on in there... it's like a petri dish of tangles! I was asked to teach up in New London (NH) today at the Tracy Memorial Library. 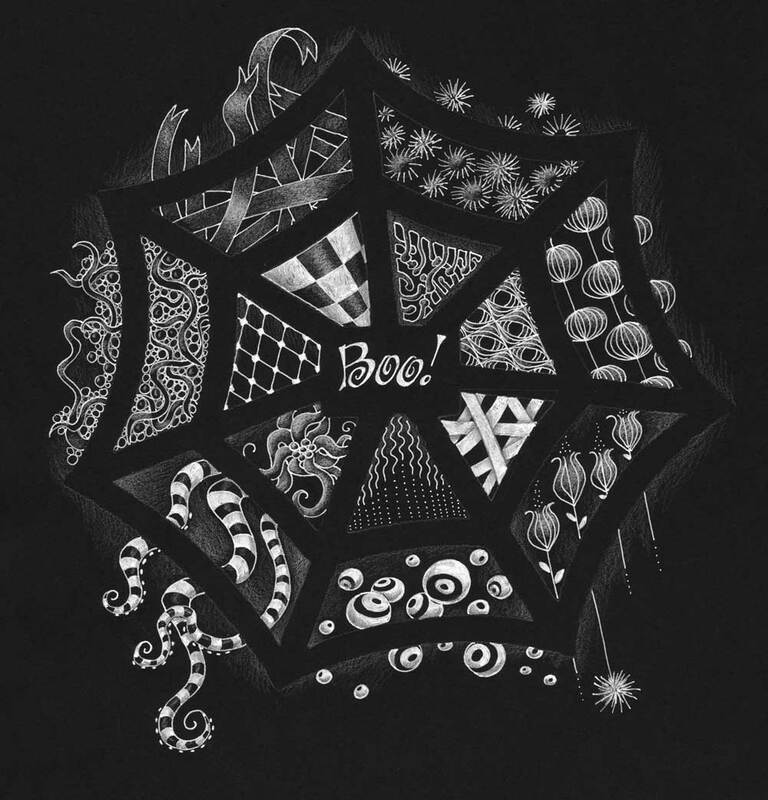 Their book program has the theme "Edgar Allen Poe" and with Halloween coming up fast, the question, "can you do an intro to Zentangle with a creepy theme?" Ah, let me think about that one... YES! I actually spend a lot more time preparing for these workshops than you might think. Not fond of repetitive tasks, I have to come up with new ideas to keep it fresh. And, in this case, I was told I had kids ranging from 5th-12th grade. Whoa. The first hour was classic Zentangle, except that I prefer using Sharpie Pens with younger people - for many, many reasons. The second half we did white on black. I tried to pick as many of the creepier tangles as I could squish onto two tiles. We did do shading, but I am still mastering my iPhone camera and its flash blew away the shadows! 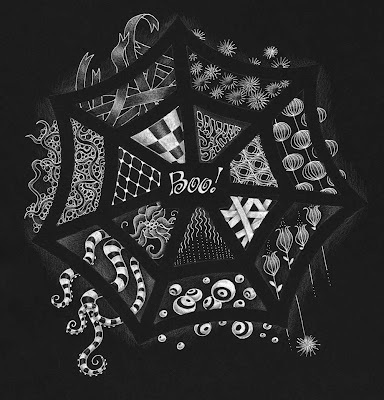 For the last half hour or so, I gave each student a piece of black 12x12 cardstock on which I had traced a cobweb as the "string" - and told them to go at it! This is the part I love - when they start creating their own patterns and improving on my ideas! As usual, I crash after social interactions. To be followed by a social hangover the next day. It's a tradition. So upon arriving home, I sprawled on the couch and rented "The Best Exotic Marigold Hotel" on Amazon. Good choice. I think this is now one of my most favorite movies. I could relate to so many of the characters in the movie. Especially that of Judi Dench. I know that feeling of trusting one person, blindly, for a long time. The excitement, adventure and terror of suddenly being... just you. And having no idea what you are doing. I laughed and cried at the same time when she tried to change her internet plan, but they "can't" help her because it's in her husband's name. And he's dead. I am so fascinated, and rather terrified too, of everything that is India. I love Bollywood movies, the dancing, henna tattoos, the carved wood fabric stamps, the sari fabrics, the people, the milder ("child mild") foods, the architecture and mystery. And I am completely fascinated by the junk statues of Nek Chand. I am equally frightened of the chaos. (Well, I get disoriented just entering a Home Depot or Walmart! Imagine me on the streets of India...) Some day, when I grow up, I'll make it out to India. I almost went two years ago with my sister and some friends, but I got divorced instead. Hmmm... I'm not sure I avoided the "chaos" part. If it's not alright, then it's not the end." Very exciting news! 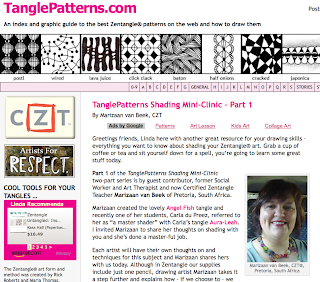 I am the guest blogger on Linda Farmer's TanglePatterns.com site today! I wrote Part Two. Please take a look and let me know what you think. And be sure to scroll all the way to the bottom so you can see my.... um... Zentangle/shading/cartoon - joke. :-) Intrigued, eh? I am currently working on an ebook about Shading Tangles, so I would greatly appreciate your feedback, questions and comments. Also, how do you prefer to learn? Written descriptions and instructions? Photographs of steps? Diagrams? Video instruction? Pop-ups and animation?! :-) A combination? How can I make shading easier for you? Quarry Books has asked if I'd like to review some of their new books here on my blog. I don't get paid, so I can be as honest as I like. ;-) But I do get a free copy of each book... and these are books that I would have bought anyway... so, um, YES! 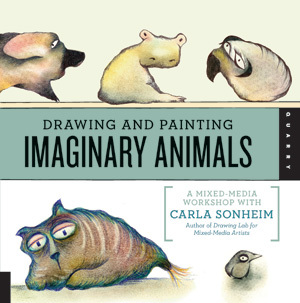 Today's book is the newest one from Carla Sonheim, Drawing and Painting Imaginary Animals: A Mixed-Media Workshop with Carla Sonheim. Carla is one of my role models - I've taken a few classes with her at the Art and Soul retreats and some online classes too. Her website has links to more information about her and her blog (fun, colorful reading!). And if you are excited about this book, there is even a class that goes along with it! And to be really thorough, I'll throw in that Carla has an Etsy shop where you can buy her prints. Drawing and Painting Imaginary Animals is even more fun because it is so obvious that she is passionate about animals. Her style is non-threatening and she admits that she didn't really start drawing until she was thirty. Her animals, some of which are completely unrecognizable as to parentage, are bursting with personality and attitude. If I had to sum up Carla Sonheim's style of creatures... the name that comes to my mind is "Snuffleupagus"! Her style and techniques are very close to the Zentangle philosophy - keep it simple, no such thing as mistakes, make it your own, one line at a time, enjoy the process... all that good stuff! And since I am highly influenced by finding patterns in the world around me - her first chapter - "Blobs and Sidewalk Cracks" - makes me want to run outside with some chalk! I already can't walk to my mailbox without needing to make a note about how the tomato plant leaves might make a good tangle... now I will be overcome with an urge to turn my driveway cracks into sleeping elephants. And, if you are hoping to learn how to make your creatures look more realistic, Carla covers that too. But she uses fun games and exercises to make it feel easy. 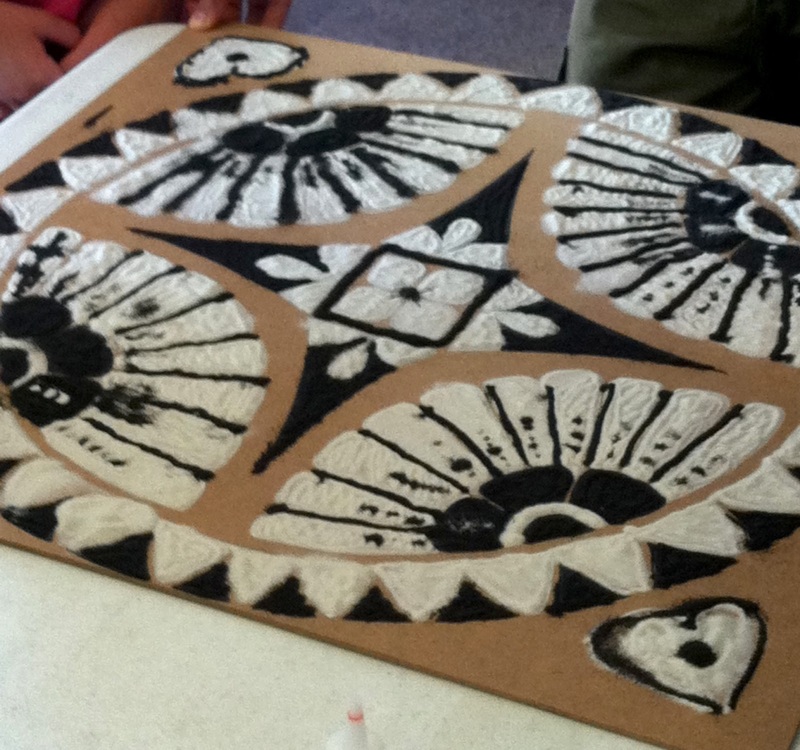 It's not just about drawing animals though - Carla has projects using paint splatters, collage, fabric, even tape! All of these are ways to start your imaginary creatures. This is the first page (cover). The little bear is a small page in front, but it has to make sense with all the other parts of pages sticking out behind it. Here's the second page - the envelope's windows still make sense here. The "fishbowl" is actually the clear window on a CD envelope. I found this exercise really challenging! But then, I tried too hard to create backgrounds and such. Using more imaginary creatures might have simplified it... I have to try this one again some time. If you ever get a chance to take a class with Carla - especially "live" - do it! Her teaching style is encouraging and supportive. She works hard to make techniques work for you and encourages you to infuse it all with your own style. You know how passionate I am about "making it your own"! I really have little patience for teachers who teach you how to create exactly the way they do. The book itself is about 8.5" square (just the way I like it!) and laid out really nicely - easy to read with plenty of white space - and not too much text either. I like to see lots of images with step-by-steps. The text that is there is easy-going and funny. Galleries showcase images from other artists. It is nice to see how these projects are approached with different styles. I don't tend to read the pages and pages of tiny text in most art books. Imaginary Animals breaks what text is there into differently styled chunks. I read the widely spaced commentary at the start of each chapter. I read the shaded boxes with tips. As I study the images, if I am curious to know more about the step-by-steps, then I can easily find the text that gives more details for those pictures. It's a pleasure to have an inspiring art book written for creatively impatient people like me! My Open Studio on Saturday went really well! 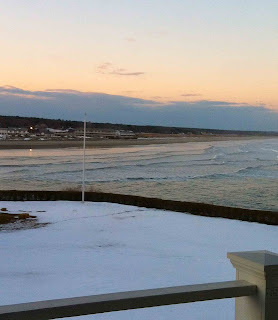 People tended to come in waves so I didn't get much time to talk with everyone in depth. 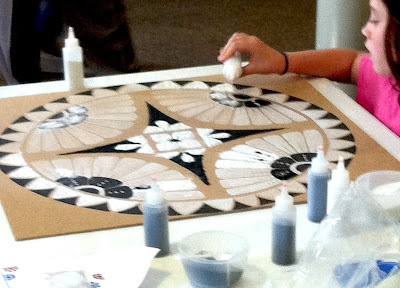 I did meet a fellow who was trying to discover all 106 of the official Zentangles and he had an impressive stack of finished tiles. I have to track him down for you all - he described an intriguing system he has of cataloging all the tangles. Lilah and I did face-tangling. Actually, I started out doing all the painting and tattoos myself. But then Lilah slowly took over. At one point she even snitched my paints and took them out to her friend Nathan's booth where she undercut me by working for free! Hey!? We worked out a compromise eventually. I am learning that, just as my son considered Wingdoodle to be "his" store when it opened 11 years ago, now, Lilah talks about the new studio shop as "hers"! 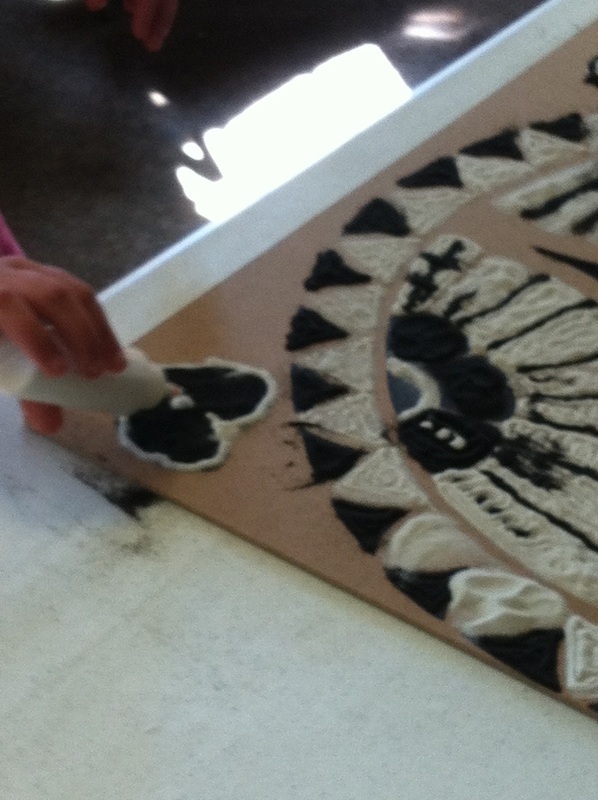 She is also asking when I will create a line of rubber stamps from her images. We really need to come up with a good name for the new... place. So many people walked in assuming it was Wingdoodle re-opened and I kept stamping my foot (in my mind) and mumbling, "No, it's MY studio!" I've been thinking of calling it BeeHive and BumbleBat. A beehive is where all the busy creatures hang out and create their magic. And Bumblebat is my online store's name... If I could only decide, then I could get a real sign made and start re-training everyone. Today, Sunday, I was feeling less than social, so I didn't push myself to open the shop again. Although it was an even bigger crowd than yesterday, I just felt like wandering. I wandered into the Town Hall where all the crafters are set up - and I found Dianne Klabechek - a former Zentangle student of mine, now a CZT - selling her beautiful tangled cards! Dianne's Zentangle inspired art is worked into the shapes of animals and insects and drew lots of attention from passersby. Lilah and I have spent the past few days trying to make my mess of a studio look presentable. I think it finally looks a bit like a store! Yesterday we climbed - OK - LILAH climbed- up ladders to string tinselly fall decorations and place bats in high places. Today, my son crawled out of bed, around 2pm(!?) and reluctantly started designing my sandwich boards. He got really into it. Then his sister said, "I want to do what Alex is doing!". Predictable. So I said, "Sure!" Alex glared. Then, I said, "but I have an even better job for you... you can design the sidewalk sign!" Squeals of delight! the Warner Fall Foliage Festival has begun! For anyone who had trouble seeing Carolyn's spinner in yesterday's post, here is another shot. This one is much larger and clearer too. And speaking of "spins" - my brain is in a spin. (What's new, right?) This weekend is our town's annual Warner Fall Foliage Festival... in which 30,000 people flood our town of 3,000. They eat fried dough, ride the rides, shop, watch performances... my son is dancing in the street as the Mad Hatter at 2pm on Saturday. Right after the childrens' parade. I thought I would do some face painting - actually face tangling - but that sounds really... wrong. Now that my studio is right down at ground level, in the middle of the teaming masses, I thought I might pretend I own a store and open it up on Saturday. I've spent the weekend spray painting an old stamp display. My hands and feet are purple - I think my lungs might be too - and my right hand is cramped in trigger position. I keep telling myself "I can do this. I can do this. And if I change my mind on Friday night - no biggie - no one knows what I was thinking of doing..."
So, I will have an Open Studio. A test run. Because I am tired of people telling me to get a real job. A store is a real job. I have a store. Therefore... I have a real job! Yeah ME! Oh - details: this Saturday from 10:30 til... til I can't stand it any longer and run for the fried dough. My new studio is in the store-formerly-known-as-Wingdoodle. It needs its own name, but that discussion is for a different post. Well, dear teacher, you will be disappointed that I didn’t finish much at all, but the reasons were OK, to me anyway. Here is a picture of the Spinner I made and I’m actually using it! 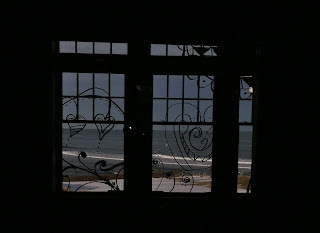 I went to the Retreat to be exposed to different things and that is exactly what happened. The time we spent on shading techniques topped my list. Interacting with others and seeing your illustrations, reinforced my interest in sharing Zentangle. Merely experiencing the generous sharing among artists; visiting with the talented women taking other classes or giving them, was enriching. I’ve been corresponding with a few of the other students, sharing teaching methods and learning from them. One more thing, I have signed up for the e-class you mentioned in your latest newsletter and have already learned something I can use, so thank you for that. I’m trying to not take myself so seriously. I have my own talent to expand and share and that is enough. 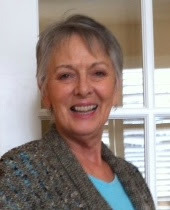 Huge thanks to you for inspiration through your books, blog, classes and delightful personality. I truly enjoyed meeting you, Sandy, and spending four days in your fun class was my birthday present to myself and I loved it. 2) I had a FABULOUS time teaching in March... but I decided I really... REALLY wanted to get paid for my work. I know, I'm an artist, but I don't buy into that whole starving thing. And I'm only telling you this shameful truth because we are friends, but - no- I didn't get paid for the March retreat. blush. 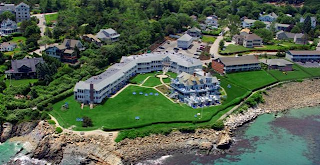 If you are the kind of person who already thought the March retreat was too expensive, then, OK, we'll still be friends, but this retreat thing is probably not your bag anyway. If you have been trying to justify it (I do that too!) - then think about it as a way of investing in yourself. It's good for your brain, your stress-levels, networking - all that stuff - but it also can boost your career by giving you great ideas, confidence, and if you are teaching... you'll make lovely samples! And you can pick my brain. Do you have ideas that you are afraid to discuss with your friends and family because they'll think you are "nuts"? Bring them on! 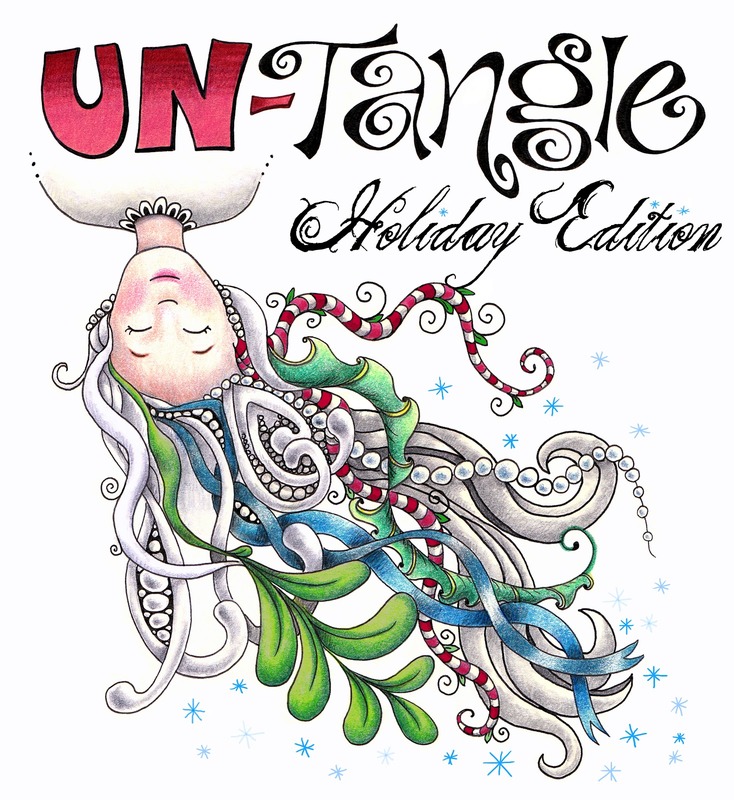 UN-Tangle is a great place to just "Be".